Black Oak Ranch is offering two PRR Accolade 119K daughters. These cows are a predictable example of what Accolade has done in our herd. His progeny whether bulls or heifers have been consistently larger frame animals. We have several daughters in production now. They are very solid calf raisers. Take a good long look at the calves at side of each of these cows. 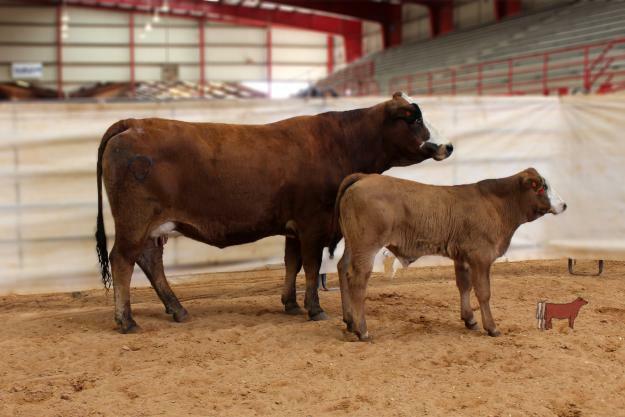 The bull calf is just under 3 months old(Lot 17's calf) while the heifer is just under 2 months old (Lot 18's calf). Neither of these females has had any extra help thru this winter. They have been on Tifton 85 hay and a mineral program. Both females are open and ready to breed. We will be supplying 2 straws per cow of PRR Prosperity. 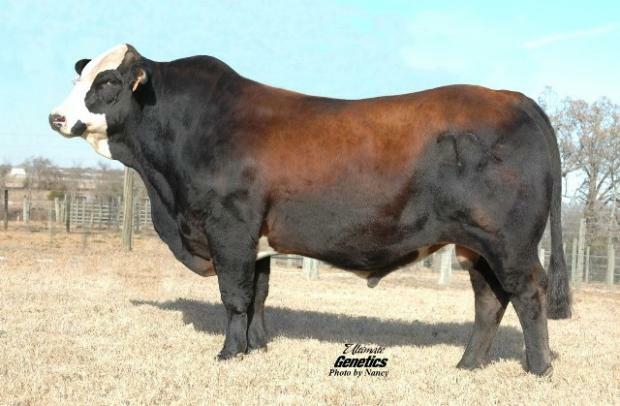 This bull is a 3/4 x 1/4 homozygous polled Simbrah bull. For more information call 903-539-1666. Consigned by Black Oak Ranch, www.texasblackoakranch.com.